MADE EASY Cricket Academy is promoted by MADE EASY group, which has emerged as the biggest institute in GATE and Engineering Services entrance. Under the vision of Mr. B. Singh, MADE EASY group has witnessed steadfast growth and extended its philosophy to schools and preschools. Mr. B. Singh is a serial IES qualifier who has embarked on the mission of transforming the scenario of education and learning in general. He has mentored thousands of engineers and shaping their careers in the form of technocrats, researchers, distinguished government officials, and established MADE EASY as a brand name synonymous with excellence. 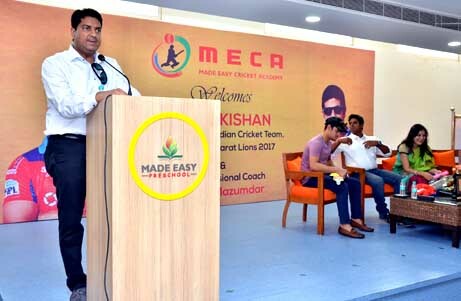 His vision for MECA is to groom promising prospective sportsmen and churn out the finest breed of cricketers from the nation.